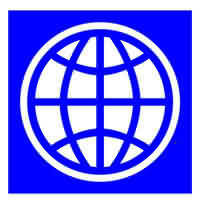 World Bank recently published a new report regarding the easiest country to do business in the world. A high ranking on the ease of doing business index means the regulatory environment is more conducive to start and operate a local firm. This index averages the country’s percentile rankings on 9 topics, made up of a variety of indicators, giving equal weight to each topic. The rankings are from the Doing Business 2011 report, covering the period June 2009 through May 2010. Malaysia ranked at position 21st, up 2 position from 23rd in 2010. Malaysia showed improvements in its online procedures for starting a business, speedy registration of properties and notable ease in tax procedures especially with the introduction of online tax submissions. Earlier this year, Malaysia also made a significant leap in its IMD World Competitiveness Yearbook, moving up eight places and becoming the 10th most competitive nation in the world. The table below are the rank of the top 30 countries.